Places of Interest– Water Front Resort, Lakeside, Pokhara. 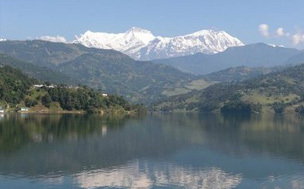 Phewa Lake is the central attraction of Pokhara. 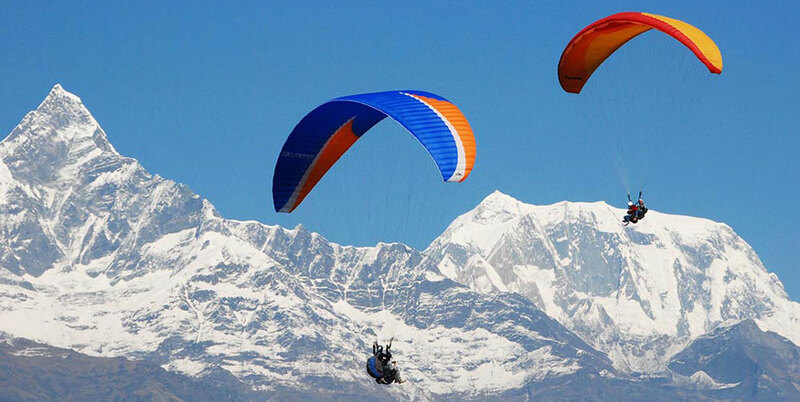 It is the largest and most enchanting of three lakes that add to the resplendence of Pokhara. 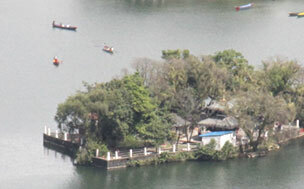 Here, you can row a hired boat across the water of the lake and visit the island temple in the lake. The eastern shore, popularly known as Lakeside or Baeda, is the favourite haunt of all travellers: restaurants and bars, handicraft shops and other tourist facilities are all located here. 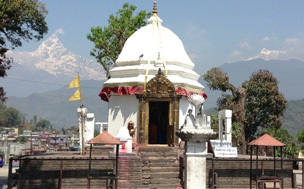 The Barahi temple is the most important monument in Pokhara. Built almost in the centre of the southern part of Phewa Lake, this two-storied pagoda is dedicated to the boar manifestation of Ajima, the protector deity representing the female force of Shakti. Locally known as Patale Chango (Hell's Falls), also know as Devins and David’s, is a lovely Waterfall is about 2 km south West of Pokhara airport on the Siddhartha Highway. 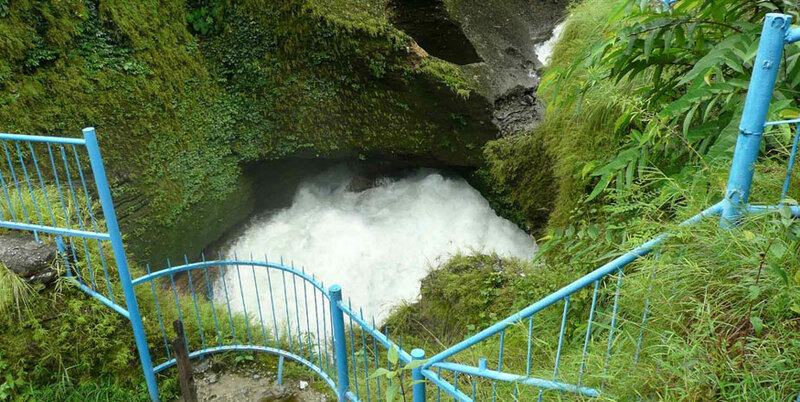 Legend has it that a trekker by the name of Davy, was washed away by the Padi Khola and mysteriously disappeared down into an underground passage beneath the fall. 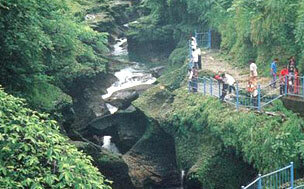 Another of nature’s wonders in Pokhara is the Mahendra Gufa. This large limestone cave is locally known as “The House of Bats” - an apt name for it. 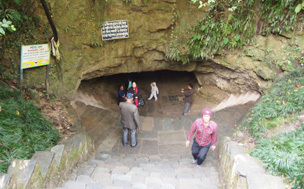 A two-hour walk to the north of Pokhara, it is best to bring your own torch to see the stalactites and stalagmites, as well as the sleeping winged residents. 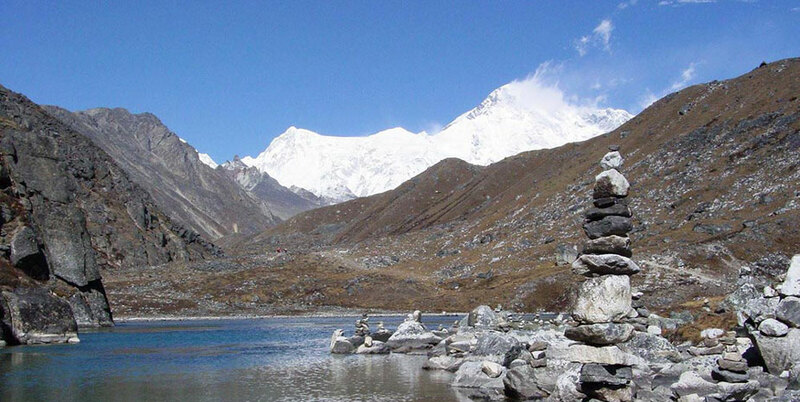 Another of Pokhara’s natural wonders is the Seti Gandaki River. Flowing right through the city, the boisterous river runs underground at places. 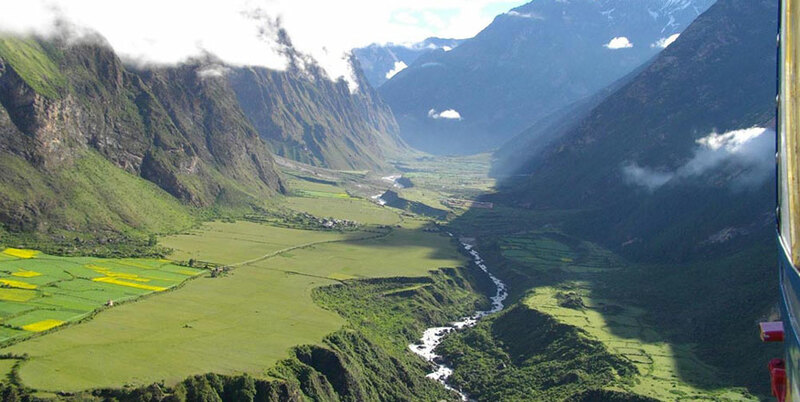 Amazingly, at certain places the river appears hardly two meters wide. However, its depth is quite beyond the imagination at over 20m. Mahendra Pul, a small bridge near the old mission hospital, provides a perfect view of the river’s tireless rush and the deep gorge made by its powerful flow. Pokhara's traditional bazaar is colourful and so are its ethnically diverse traders. The old Newar Architecture of the Kathmandu Valley can be seen in its temples and monuments. Located about 4 km from Lakeside, the market’s original charm is still evident. This area is packed with shops selling commodities ranging from edibles, to cloth, to cosmetics and gold and is a pleasant and shady spot to stroll around. The old Bazaar is also home to one of Pokhara’s most important shrines. Locally called the Bindhyabasini Mandir, this white dome-like structure dominates a spacious stone-paved courtyard built atop a shady hillock. It is dedicated to Goddess Bhagwati, yet another manifestation of Shakti. The park-like grounds offer a fine picnic area, and on Saturdays, and Tuesdays when devotees flock there to offer sacrifices, it takes on a festive flavour. 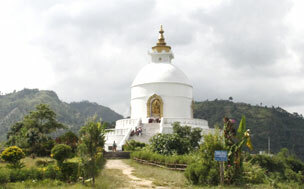 This Pagoda is situated on the top of a hill on the southern shore of Phewa lake. It has four images of Buddha facing in four directions. The Pagoda is an impressive sight and its hilltop location commands a grand view. 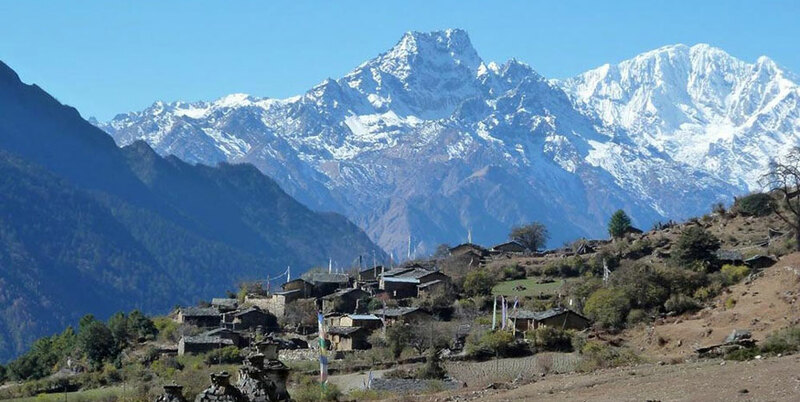 It is a great vantage point, which offers spectacular view of the Annapurna range and Pokhara city. 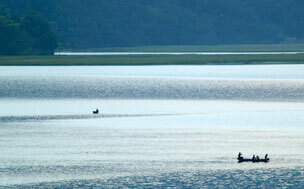 Begnas and Rupa Lakes are situated some 15 km east of Pokhara. 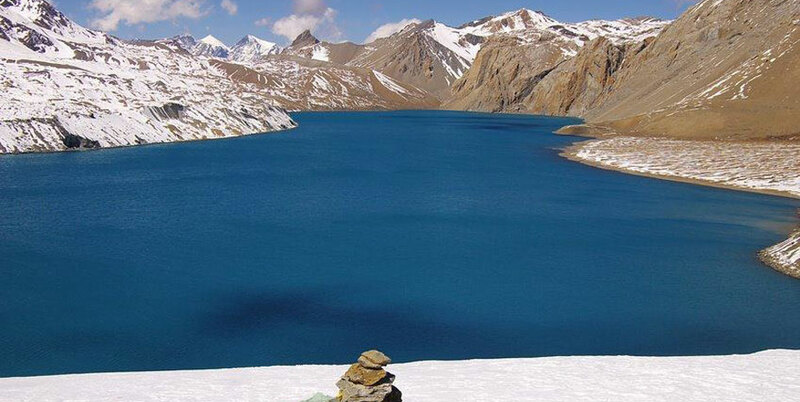 A bridge known as Pachabhaiya separates the lakes from each other. 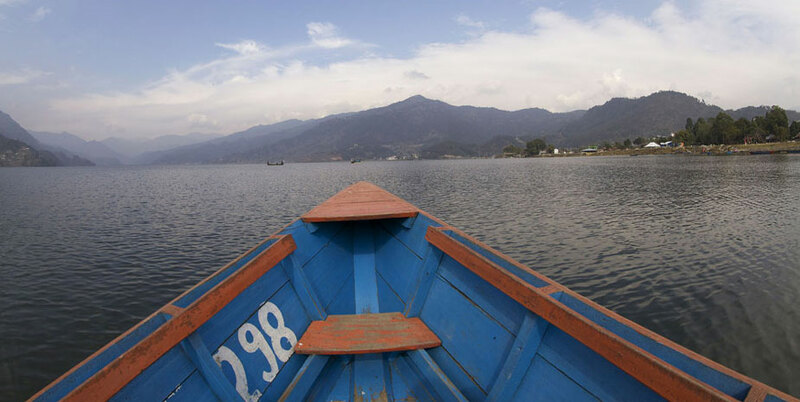 The area is much quieter than Pokhara, and although facilities are limited, both lakes offer a quiet and peaceful day out with opportunities for walking, boating and fishing. Clearly, the most stunning of Pokhara’s sights is the spectacular panorama of the Annapurna range that forms its backdrop. 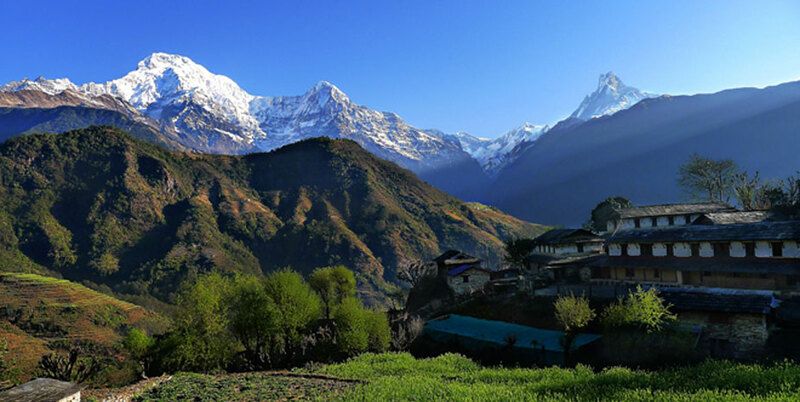 Stretching from east to west, the Annapurna massif includes Annapurna I to IV and Annapurna South. 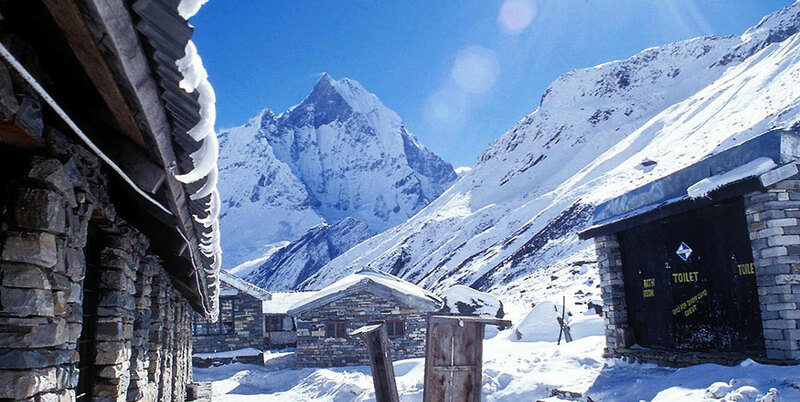 Although the highest among them is Annapurna I at 8091 meters, it is Machhapuchhre, which dominates all others in this neighbourhood. 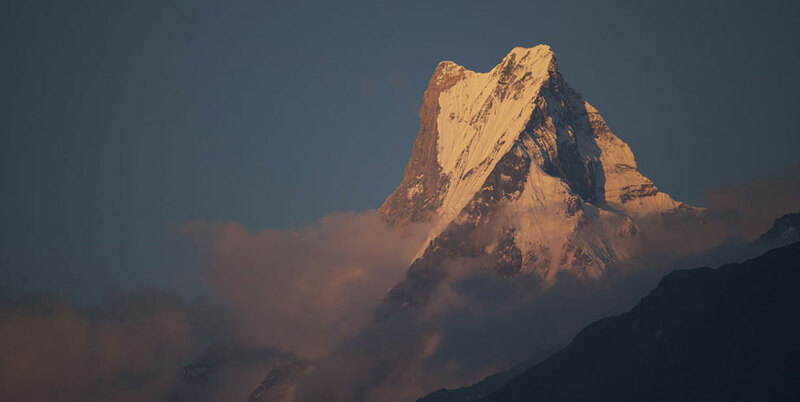 Standing tall, proud, and dominating the skyline, Machhapuchhre, the fishtailed pinnacle is the classic snow-capped, pyramidal mountain.